I have a Mohu Leaf antenna and use it daily, so I know these antennas are top quality and user-friendly. But if I’m looking to upgrade, is the Mohu Leaf 50 really worth it? If you’re also deciding on a digital antenna, maybe because you’re cutting the cord like I did, there are some things you might want to know. Here is an in depth look at the product in our Mohu Leaf 50 review. We hope that whatever questions you might have about this Mohu Leaf antenna, we can answer them for you in this complete review. We’ll share details about the Mohu Leaf 50 cost, the pros and cons, and how it compares to other digital antennas on the market. The Mohu Leaf 50 is part of the very popular Mohu antenna family. It’s called the Leaf because the paper-thin appearance – and it does all the heavy lifting of bulky metal contraptions without the unsightliness of modern rabbit ears. It’s affordable, small, easy to set up, and gets all the over-the-air channels within range. The Mohu Leaf 50 range is up to 60 miles which can cover a lot of territory. Where you live will impact the channels you get with the Mohu Leaf 50. I currently live in an apartment in Atlanta, Georgia, and we have more channels than we could possible watch, but when I lived in a smaller community in North Carolina our reception was poor. The product is best for cities or suburbs, but not as great for rural areas. But it’s a good option for anyone unwilling or unable to install an outdoor TV antenna on their roof. One big feature of the Mohu is the quick installation. Just attach it to the wall near your TV, your TV stand, or a window. A window might give you better reception, but ours is on our wall and we get a ton of networks with uninterrupted viewing. You don’t need any hardware or tools to install, it just sticks to your wall. In fact, you can even paint over your Mohu antenna so it matches your walls. At the end of the day, if what you want is a reasonably priced and easy to use antenna that won’t be an eyesore on or in your home, the Mohu Leaf 50 is great buy. Continue reading this full Mohu Leaf 50 review to find out more! You can also check out the Mohu Leaf reviews on Amazon. So what are the advantages and disadvantages of the Mohu Leaf 50? What are the basic specs and features of the Mohu Leaf 50? The Mohu Leaf 50 is a simple, easy to use antenna. It’s a slightly higher price than other Mohu products, but it offers so much in additional range to pick up your favorite channels. Learn more here. The Mohu Leaf 50 range is up to 60 miles. It’s important to note that just because the range is 60 miles, you may not get every network within that range. As with any antenna, geographical obstructions may reduce signal strength. Even building materials used in your own home can affect the reception of over the are channels. 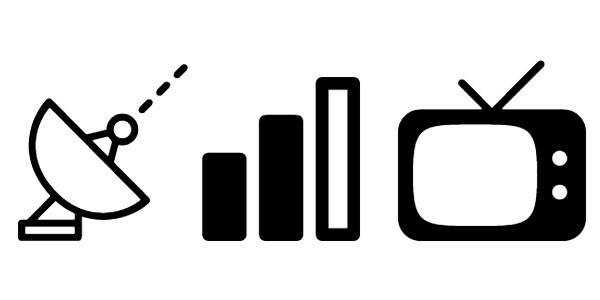 But you can improve reception with a couple of things, such as placing your antenna in the best location. Near a window might get you a better signal. My Mohu Leaf is behind my television on an interior wall between my living room and a bedroom. I live on the fourth floor of an apartment complex in the middle of a big city and I have no problem with reception. Some of my neighbors have their antennas placed in their windows. The specific location in your home will depend on a number of factors, but you can re-position the Mohu Leaf 50 easily enough. You can move it around until you get the reception you want. This would be true with any antenna. One of the biggest selling points for the Mohu Leaf 50 is the easy set up. It really does take only a few minutes. Hang it near your TV and plug it in with the cable it comes with a and you’re in business. There are very small holes in the corners that you can use with thumb tacks, whatever works for you. We used peel and stick picture hanging tabs so we could easily remove it without damage when we move out of our apartment. When you have it set up and plugged in, you can scan for channels. Make sure your television is set to Antenna or TV rather than Cable or HDMI. You’ll be able to see what networks you’re getting and the quality of the signal. After this process, you can move the antenna to see if you get different reception with different positioning. Attaching the Mohu Leaf 50 behind your TV may be easiest, but you may get better reception in other locations. A window may give you better reception. How much is the Mohu Leaf 50? The full retail price is currently listed at $59.99. There are other Mohu products that are less expensive, but have fewer features and a shorter reception distance. But the price is still affordable for the middle of the pack. Amazon sometimes has deals on the Mohu Leaf 50, so it may be worth taking a look. Click here to check the latest price on Amazon. If you do want to compare it to other top antenna models, read more in our guide to HD antennas and good indoor TV antennas. There are several Mohu models available, including the popular Mohu Leaf 30. What’s the difference? The two antennas are very similar, but the Mohu Leaf 50 has double the range. It reaches 60 miles while the Mohu Leaf 30 only ranges 30 miles. The Mohu Leaf 30 does not include an amplifier, which accounts for the shorter range. The Mohu Leaf 50’s amplifier uses CleanPeak technology, which can filter out signals you don’t want while boosting the ones you do. In some cases, the Mohu Leaf 30 will be just fine. For users who may live farther from local stations, the Mohu Leaf 50 will offer better signal strength and pick up more channels. The Mohu Leaf 50 has an average rating of 3.4 out of 5 stars on Amazon at the time we’re writing this post. 41% of users, out of a total of 1,169 reviews, give it 5 stars. On Best Buy, the Mohu Leaf 50 has an average rating of 3.9 out of 5 stars. 44% of the reviews were 5 stars, and 30% 4 stars and that’s out of 7,190 total reviews! The most common complaints concerning issues with signal quality. Unfortunately there will always be some trial and error to get a good signal, depending on where you live – and this is true of all antennas. 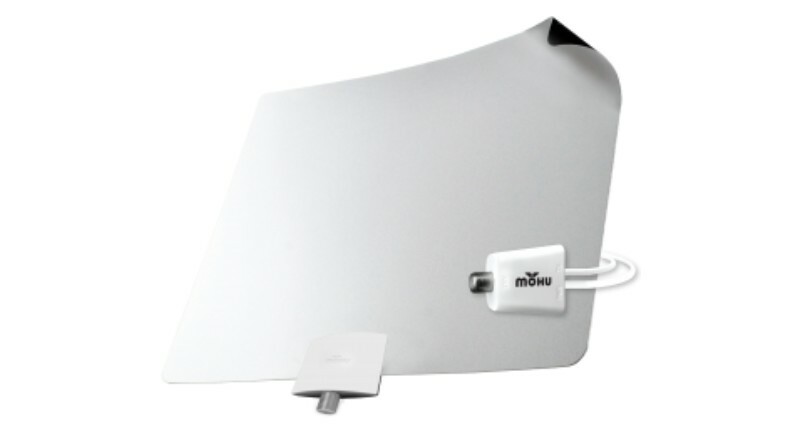 To recap, the Mohu Leaf 50 is an affordable, easy to use, indoor antenna with a great long range. It may not compare to larger outdoor antennas, but it’s perfect for people like me who don’t have outdoor space to install one. With 60 miles of signal range, if you live in or around a metro area, you should get great reception. And you may even get pretty good reception from further out. Hopefully you have got value out of our Mohu Leaf 50 review. If you have questions, drop a comment below! Click here to learn more and purchase the Mohu Leaf 50 from Amazon!